Unlike regular appraisals, VA appraisals take additional factors into consideration and can present challenges to some borrowers, especially those considering purchasing fixer-upper properties. 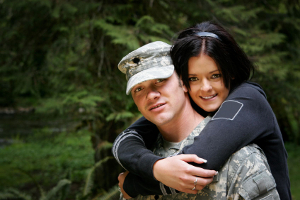 Facilitate a smooth appraisal process for VA approval and read this article for the most common questions regarding VA loan appraisals and the challenges which they may present. Who orders the VA appraisal for a home inspection? When securing a VA mortgage, the loan officer will initiate the VA appraisal by submitting a request through the online gateway on the Department of Veteran Affairs’ website. Once the appraisal request is issued, the VA randomly assigns an appraiser for a home inspection. How much is the VA appraisal fee? VA Appraisal fees vary depending on the state and average between $300 and $400. Typically, borrowers pay this expense before closing the loan. When is the VA appraisal ordered? Borrowers should request an appraisal as soon as possible to ensure minimal delays from the appraiser. Can I choose the VA appraiser? For mortgages guaranteed by the Department of Veteran Affairs, the VA randomly appoints appraisers to each home, thereby prohibiting any potential conflict of interest for the mortgage during the inspection. As a result, borrowers will not be able to choose or request a particular VA appraiser. Are VA appraisers stricter than conventional appraisers? VA appraisers will be as objective as possible when conducting a home inspection to determine the true value of a home. These appraisers represent the Department of Veteran Affairs and have received specific instructions to provide the most unbiased estimate. However, to defend borrowers against detrimental purchases, the VA requires that any substantial problems with the property must be fixed before closing the mortgage. What problems could arise with the VA appraisal? Several factors can negatively affect VA appraisal, especially aspects of the home that require repairs before closing the VA loan. Frequently, these issues present safety hazards, such as a staircase that does not have handrails or back doors without decks. Essentially, the home must not be in disrepair at the time of the appraisal; it must be habitable and in reasonable condition. When necessary, do home improvements need to be made before closing the VA loan? Repairs noted for home improvements on the appraisal must be finished before the borrower can close on the loan. However, if extenuating circumstances arise such that the borrower has no control over these repairs, lenders may allow the borrower to deposit funds into an escrow account and perform the home repairs once weather or additional factors allow. What happens if the value of the appraised property is lower than the sales price? With a VA mortgage, borrowers are entitled only to funds deemed sufficient to cover the appraised value of the home or the sale price, whichever is determined to be lower. As such, if the appraised value of the intended property is less than the sale price, borrowers will need to fund the difference in price. Under these circumstances, borrowers have several options. Firstly, borrowers can request a reconsideration of value, which reevaluates the home value taking into account additional comparable sales not utilized in the initial appraisal. Alternatively, borrowers can make arrangements with the lender to accept a higher interest rate in exchange for the lender crediting some of the deficiency to make the purchase more feasible; although, borrowers who cannot acquire enough funds to pay the difference will need the seller to finance the entire difference.